Gold, a longterm advisor to Netanyahu and former UN Ambassador, will replace present director, Nissim Ben Sheetrit. 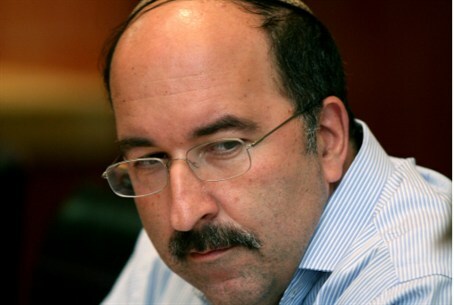 Prime Minister Binyamin Netanyahu appointed his advisor Dr. Dore Gold, Israel's former UN Ambassador, as Director of the Foreign Ministry Monday, replacing current director Nissim Ben Sheetrit. Netanyahu met with Ben Sheetrit Monday morning and thanked him for his service at the head of the ministry. He offered that he continue to act for Israel on the diplomatic front. Netanyahu informed Deputy Foreign Minister Tzipi Hotovely of the appointment, which will be brought before the government for its approval. Netanyahu is serving as foreign minister at present. Gold, who wears a knitted kippah, has served as President of the Jerusalem Center for Public Affairs, and has been Netanyahu's diplomatic advisor since 2013. In 1991 Gold was an advisor to the Israeli delegation at the Madrid Peace Conference. From June 1996 to June 1997 he served as Foreign Policy Adviser to Netanyahu. In this capacity, he worked with the Palestinian Authority, Egypt, Jordan and others in the Arab world, and was involved in negotiations leading up to the Hevron Agreement. After Netanyahu lost the 1999 election and served as the head of the Israeli opposition, Gold was instrumental in forging the relationship between the Likud Party leadership and the Hashemite Kingdom of Jordan in response to the strategic ties that were growing between Israel's Labor government and the PLO under Yasser Arafat. From 1997 to 1999 Gold was the Israeli ambassador to the United Nations. In 1998 Gold served as a member of the Israeli delegation at the Wye River negotiations between Israel, the PLO, and then-US President Bill Clinton at the Wye River Plantation in Maryland.